How did early modern Europeans justify political inequality (i.e., the rule of kings and queens)? analyze the primary documents and explain to what extent they are related to the estates model of society and the Great Chain of Being. Compare the writings of Elizabeth I, James VI/I and Bossuet. Do the three authors' views reflect the same view of early modern government? If so, in what ways? How, if at all, are these documents related to the estates model of society and/or the idea of the Great Chain of Being? Once you have read the sources and thought about the questions, go to the Forum in Sakai. The general instructions for the Forum discussions are in the Syllabus. You are reading this text almost three years after all Canadians of voting age (including most, if not all, of the students in this course) were considering their options in the Federal Election of 2015, and just over a year away from the next Federal Election. In Canada (as in other modern democracies) we think of the country's citizens to be the ultimate source of political legitimacy. Citizens vote to express their collective will, and the members of parliament they elect have a duty to represent them in the federal parliament in Ottawa. This model of political power based on citizens and their representatives was not the dominant one in medieval and early modern Europe. Democracy is an ancient idea, but most early democracies were limited to very small political communities (usually cities), and citizenship was limited to landowning (i.e., fairly wealthy) men. In the dominant model of political power before the modern era the most important people were not the majority of citizens but rather a very few rulers. Most of these rulers were born into positions of authority. In other words they were members of the noble classes. Today, the word "class" often has an economic meaning; we are a member of the working, middle or upper classes, depending on how much money we have. In early modern Europe, class had a different range of meanings, the most significant of which were based on family status. Your family status determined to a very large extent the kinds of opportunities that a person could enjoy in a lifetime. The widely-held view was that members of the nobility were born to rule, while the majority of the people were born to obey their social superiors. In other words, the majority was made up not of citizens but rather of subjects. In this week's Lesson you will learn about important elements of the intellectual foundations for the authority of European rulers over their subjects. Be aware that these were ideals, which means that these ideas were the way these writers and thinkers thought the world should be organized. However, ideals are not always the ways things really were. You should keep this potential tension between ideal and reality in mind as you read about the estates model of society and the Great Chain of Being. For this week's Lesson, it is enough for you to do your best to make sense of what for most of us today will be very strange ideals. If you are going to do your job of understanding past ideals effectively, you will have to do your very best to avoid judging the views you will be trying to learn. Probably the most basic and important skill all historians practice is the analysis of primary source evidence. Therefore, if you've ever taken a history course in university before, you've probably already had some good practice with this skill. This week you should think some more about use of sources and about the overall goal of a history education when you watch the following web video. Click here to begin the webcast in a new windowClick here to start the video in a new window. NOTE: If you're having trouble viewing the video online, you might need to install the Adobe Flash Player on your computer. The Flash Player is a plug-in. You can get it through the link on this Historical Thinking page (http://historicalthinkingmatters.org/why/). 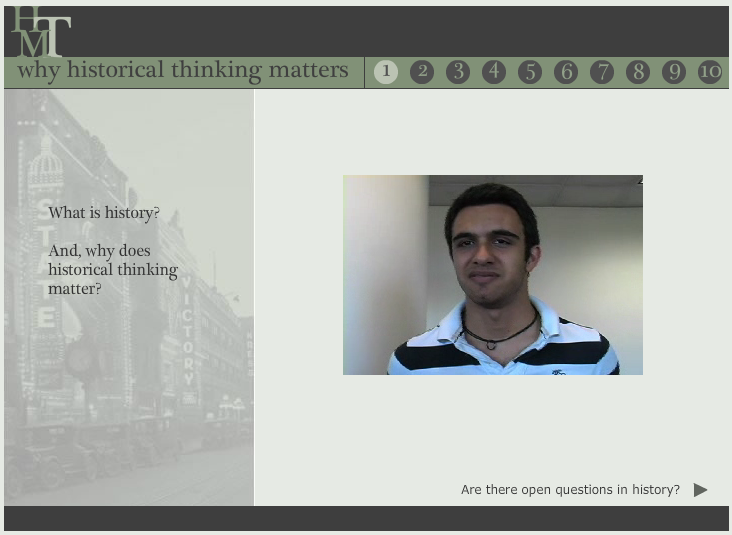 The webcast introduces these skills and explains their relevance to the process of historical interpretation. Watch the webcast before you post in the Forum this week, and make sure to take notes. When you read sources for this week's Lesson -- and for all remaining Lessons -- make sure that you pay attention to these dimensions of source analysis. Note that a student at the beginning of the webcast refers to AP History, which is an American "advanced placement" exam that many high school students take. You should focus on the following primary sources in your answers to questions in the Forum this week. They include 3 excerpts from early modern texts by 3 authors. Read the following secondary sources to help you understand and contextualize the primary sources. You should practice reading the sources "critically" (not to be confused with "negatively"). Critical reading, like critical and historical thinking, is careful and discerning, and is aimed at understanding an author's views in a fair and full way. For example, avoid using unfounded clichés and generalizations when you read. When you read critically you are constantly asking questions of the text. For example: Does the evidence in the source support or complicate the answer to a question that you are proposing? Are there other explanations that the evidence allows? You've read some additional primary sources. Do these sources help you think about your questions and answers differently? "Estates of the Realm," Wikipedia (https://en.wikipedia.org/wiki/Estates_of_the_realm). 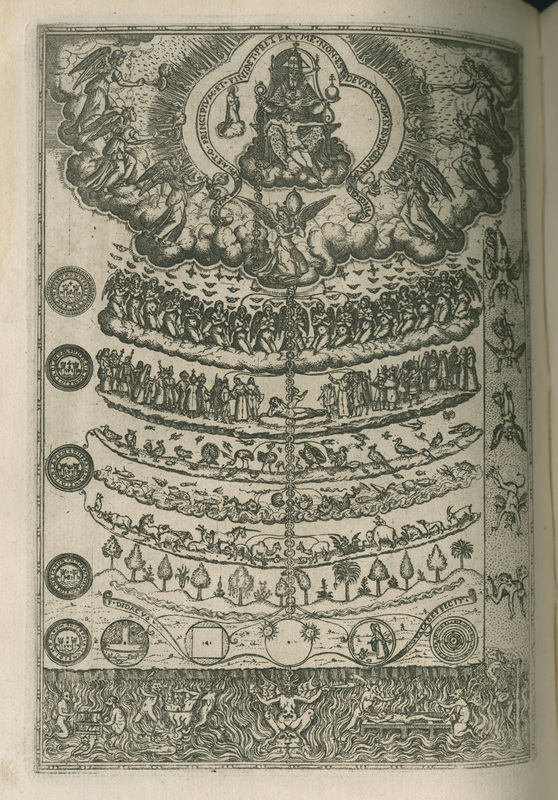 "Great Chain of Being," Wikipedia (https://en.wikipedia.org/wiki/Great_chain_of_being). Kreis, Steven. 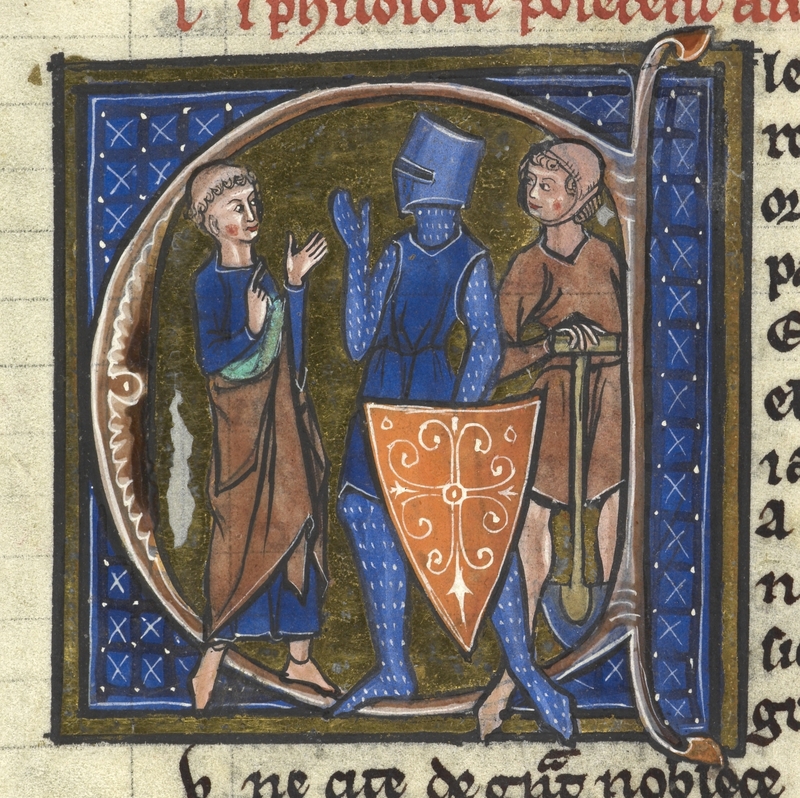 “Medieval Society: The Three Orders,”​ from Kreis, The History Guide: Lectures on Ancient and Medieval European History (http://historyguide.org/ancient/lecture23b.html) (2001). 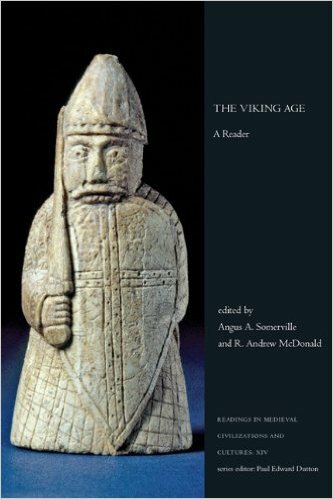 HIST 3P30, The Viking Age.